At Christian Bling we are always looking for opportunities to help in our communities. When we learned about Ticket to Dream's effort to help foster kids we knew we wanted to help. Supporting foster kids is a cause near and dear to our hearts as we have consultants that are foster parents themselves. Like many of you we believe that no child should go without, should face trauma or fear. Help us give childhood back to foster children across the nation as we work to ensure they have the essentials and support they need to thrive. Just a small donation will go a long way to helping us meet our goal to help the Ticket to Dream Foundation, a non-profit dedicated to helping foster kids, just be kids. What may seem like just a few dollars adds up to so much more. Together we're raising money to ensure foster kids have the essentials and support services they need to build self confidence, experience childhood, make friends, heal and grow into their full potential. Now's your chance to help foster kids dream, achieve, succeed! Every dollar helps! Want to learn more about Ticket to Dream? Visit Ticket to Dream Foundation and follow them on facebook! 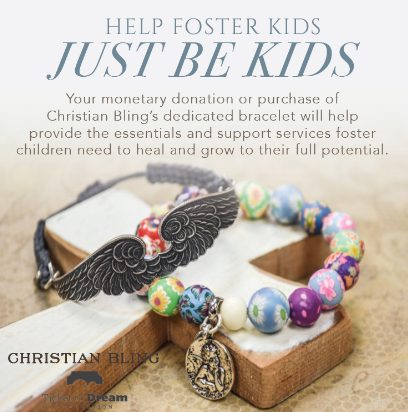 You should also make sure to check out our Messenger and Wonderful bracelets, which will each be benefiting this important cause through June.